Being creative is not as complex as it has been put to be. Our lives can be filled with creative moments, whatever we do, as long as we’re flexible and open to new ideas and possibilities. The everyday expression of creativity often takes the form or trying a new approach to the familiar. 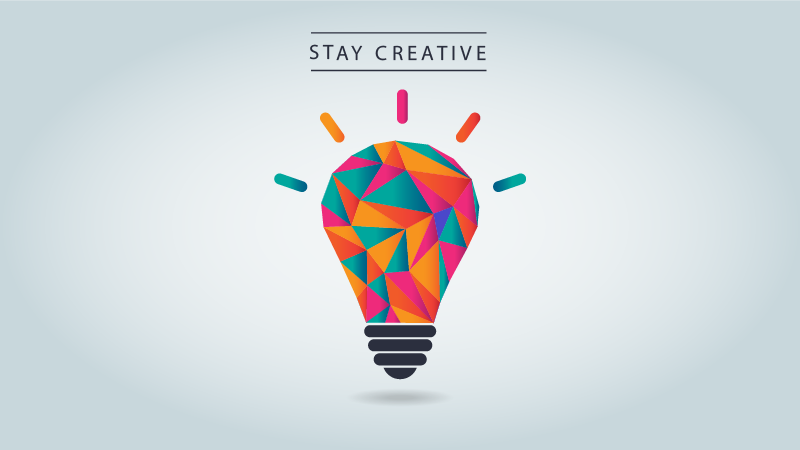 Creativity should be part and parcel of your day as you deal with new clients and new projects. It’s also an essential tool to approaching everyday tasks in a different manner. It’s just the thing to help manage expectations and keep you interested in your work. Get your mental juices running by exercising! I often feel edgy and anxious if I haven’t exercised. And usually, if I feel like I’ve hit a wall creatively there’s nothing better than getting my blood flowing to help resolve that. Exercise increases blood flow and oxygen levels in the brain and it also encourages the release of chemicals that are responsible for memory and learning. And the good thing is, you don’t need to kill yourself in the gym to get creative! A walk in Karura Forest or a lifting a few weights and even a game of hockey is enough to boost my brain. Sometimes I’ll even try different activities I don’t really do very often such as golf. Whenever I get tired of looking at my work, I step away from it. Sit outside and just relax for a few minutes, coming back fresh. I’ll sometimes even just go grab a coffee somewhere nearby to help clear my brain. Surround yourself with people who appreciate your presence or efforts and try as much as possible to avoid negative vibes! I constantly look at work by others creatives, not to criticize but to see the world from their different perspective and admire their work. Another way I stay inspired is to travel out of Nairobi as much as I can, it helps me clear my mind and come back more focused. I cannot value how much I love my free time. It’s incredibly precious to me, it’s a way for me to decompress. Sure, it’s good to work as hard as you can, but how you spend and value your free time is essential. See every challenge as an opportunity. Sometimes I’ll come across a new project that I don’t have any experience in. In my mind, I see it more as a learning opportunity than an obstacle. Bounce your ideas off someone. Sometimes when I’m having a mental block, having someone view my work can provide me with a fresh perspective and tips. Set parameters to focus your ideas. Ironically, too much freedom can hinder creativity. I have to set daily, weekly and monthly tasks in order to keep track. Being a visual person I’ll always have a calendar and a pad of sticky notes near me. 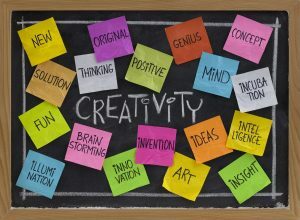 In the end, there’s no one path to creativity, but rather many small steps that we can take in our everyday lives to inspire thinking out-of-the-box. You don’t have to be naturally creative to set simple practices in motion. Once you do, you’ll be surprised at just how they can impact perspective and keep you solution oriented.